On Monday, August 14, 2017 at 6:30 p.m. 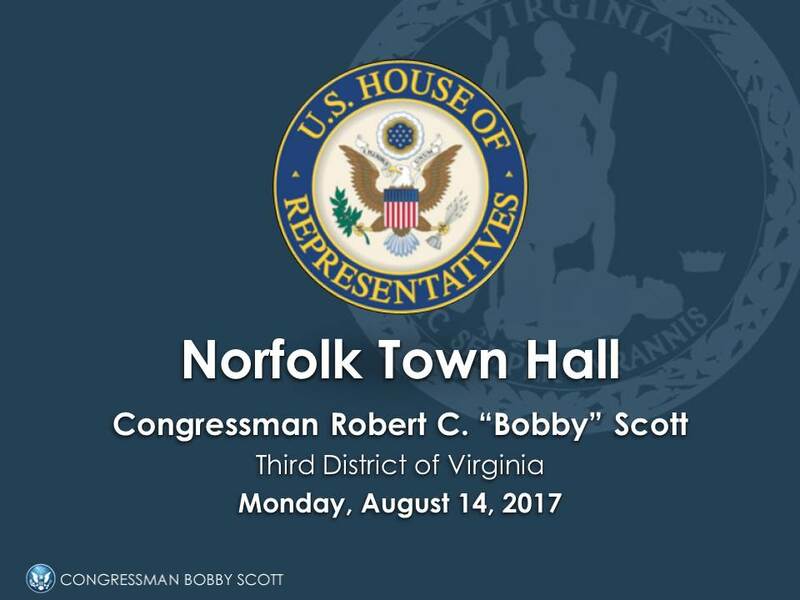 Congressman Bobby Scott held a town hall in Norfolk to provide an update on pending issues including the federal budget, health care, and legislation already enacted by Congress and the impact of these policies on Virginians and their families. Below is video of the town hall, as well as Congressman Scott's presentation.